Learn how to watch Michigan State basketball online. Stream the Spartans game LIVE from home, without cable, with our Michigan State live stream guide! If you’ve been keeping up with the news surrounding Michigan State’s basketball team, then you’ve probably heard it’s time to celebrate “40 years of Magic”—Magic Johnson, that is. While we’re excited to see the retro jerseys back on the court, we’re even more excited to see what happens this season. If you want to catch every magic moment of this season, you’ve come to the right place. Keep scrolling to see the best ways to stream Michigan State Basketball 2018. The official season tips off on November 6th against the Kansas Jayhawks on ESPN with other games scheduled to appear on CBS, FOX, and of course Big Ten Network. Each service’s channel lineup is pretty similar, so deciding which one is best can be a real hassle. But don’t worry, we’ve got you covered. We’ve discovered the ins and outs of every service already, so keep scrolling to find the right service for you and your Spartan viewing needs. The main reason Hulu Live takes first in our book is simply this: it offers the best value. At $39.99 per month, your wallet doesn’t take a big hit, but the total package still packs a big punch. 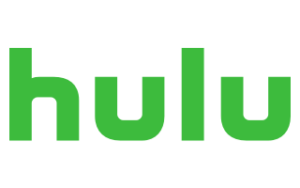 Hulu Live provides access to 55 live TV channels and all the on-demand content we’ve come to expect from Hulu’s original on-demand service. Yep, you get to watch the Spartans win and keep up with your favorite TV shows—talk about a game changer. For a streaming service, Hulu Live’s local coverage is unmatched (just check the channel chart above if you don’t believe us). Streaming Hulu Live means you’re more likely to get your local channels, which is especially important for the many games broadcasted on CBS come March Madness. As for downsides of Hulu Live, its menu system is the most notable drawback. We admit it can be confusing, but once you get the hang of it, it’s awesome. You can mark a show as your favorite and any future episodes—or games—will automatically be added to your DVR. The DVR can only record 50 hours of TV, but that’s still a lot of basketball. Like Hulu Live, YouTube TV offers around 50 live channels—including the ESPN, Big Ten Network, and CBS you need to watch Michigan State Basketball—at a fair price. You can try it free for a week and see how you like it. YouTube TV and Hulu Live are pretty much neck and neck when it comes to price and live TV coverage. Like Hulu Live, YouTube TV offers over 60 channels for only $40 a month—a price difference of a penny. Something that does tip the ball towards YouTube TV is its streaming quality. To say it’s good is putting it lightly. It’s fantastic. While all streaming services can run into problems with buffering, YouTube TV offers the clearest picture on the market—a definite plus when you need to see if that last second three-pointer made it. If you’re stuck deciding between watching the Spartans play or keeping up with your favorite TV show, then let us introduce you to your new best friend: YouTube TV’s unlimited DVR. With YouTube TV’s cloud DVR, you can record as many shows or games as you want and keep them for nine months. It’s a great perk if you don’t want to choose between favorites or you simply can’t make it to the couch at game time. YouTube TV’s major drawback—and what gives it a number-two ranking on this list—is its limited local coverage. With fewer local affiliates than Hulu Live, YouTube TV just can’t guarantee as many people their local channels. This might be a problem when the Final Four starts. So after all that, what’s the takeaway? YouTube TV offers a solid way to view the Spartans score, but you’ll want to check your local coverage before you sign up. PlayStation Vue offers a streaming service with plenty of channel coverage. While its a no-brainer for PlayStation owners, PlayStation Vue is also a good service for every Michigan State fan. Don’t worry—it’s available on plenty of streaming devices besides the PlayStation, too. Start your free trial. At $49.99 a month, PlayStation Vue is definitely the most expensive option on our list. But the Core package does offer more channels than the other two with a special focus on sports coverage—score! PlayStation Vue also has great streaming quality with a beautiful, clear picture that comes in handy when you’re trying to see if the ball was out of bounds or not. But do be warned that its screen resolution caps out at 720p. This limit doesn’t affect most TV viewing, but it’ll keep you from viewing some HD TV shows in their original resolution. Like YouTube TV, PlayStation Vue offers an unlimited cloud DVR, so you can store all the Spartans’ games—30 excluding the post-season—and watch them again and again. The only catch is your recorded content will be deleted after 28 days, so watch quickly.  If you’re already a PlayStation gamer, then PlayStation Vue is literally built for you. The menu interfaces will match with your PlayStation perfectly and you can actually “vue” (see what we did there) multiple games at one time without the hassle flipping between multiple tabs. So overall, PlayStation Vue offers the same coverage of Michigan State as the other two services, but each of its perks come with a small catch. Basically, unless you’re a PlayStation owner who doesn’t want to buy a new streaming device, it’s a definite third-place service. With veterans Nick Ward and Cassius Winston back and ready to play, a Big Ten Championship seems to already be in the Spartans’ future. And with these options, you’ll be sure to see it. No matter which service you pick, this season is sure to be pure magic. If you have questions or comments on how to watch Michigan State Basketball 2018, feel free to let us know us on Twitter or send us an email. We’re here to help.